Fantasy Leagues, a term that was famous in European and American countries till last year. In 2017, fantasy leagues made their way into India in a big way and got a lot of traction with around 20 million users. This number is continuously on the rise and it is expected the figure will touch around 100 million by 2020. The number stood at just 2 million before it surged to 20 million in just 18 months. The fantasy sports exploded in world scenario in 2014, particularly in USA where young and old generation is crazy about sports like Basketball, Baseball and Football. There are more than 200+ operators serving more than 59.3 million users in USA. According to a survey almost 65% of the male sports fans engage in the fantasy sports. Till 2016 only a handful of companies were present in Indian markets that were serving the sports enthusiasts of the country. Dream 11 was the company that used to hold 90% of the market share. However, in 2018 the number went up to 60 and almost every week a new company is being launched in this segment. The segment has picked up very well in India owing to the fact that 67% of the online sports fans have some idea about the fantasy leagues. Although there are 200 million online cricket fans but leagues like NBA and EPL are also making an impact in Indian markets. The advent of Fantasy sports is also because the internet users in India had crossed the 500 million figures in 2017, out of which 400 million use it though their smart phones. It a Fantasy Sports platform that allows users to use their skills and understanding of the game to engage more in the sports. The platform was launched in February 2018 just before the start of IPL 2018 to get traction from IPL fans. 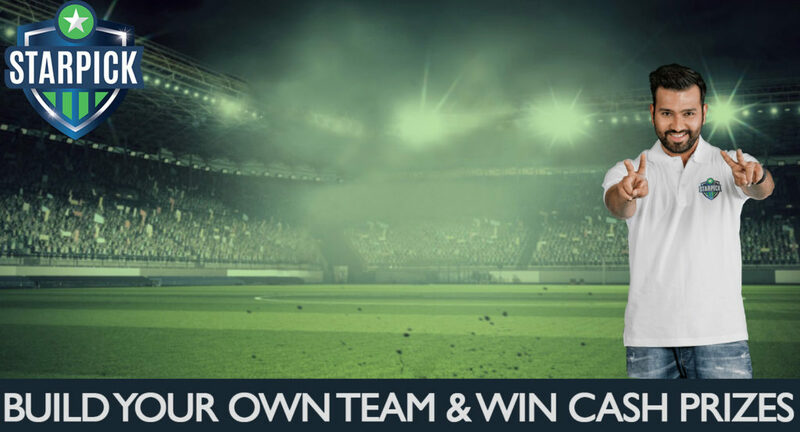 Fantasy sports utilizes the user’s creative and skill bend of mind to create a virtual team using the real players and then earn according to the performance of these players on real time. StarPick allows the participants to enter in the virtual tournaments created by StarPick and other users with a virtual team from a bunch of real players that will be playing in a real-world tournament or matches. The performance of the players included in these teams help the users gain points which accumulate to create a win-lose scenario at the culmination of the game. Therefore, all the sports enthusiast can logon to the website and play fantasy sports in several games including Cricket, Football, Kabaddi, Hockey, Basketball, Formula 1 amongst others. 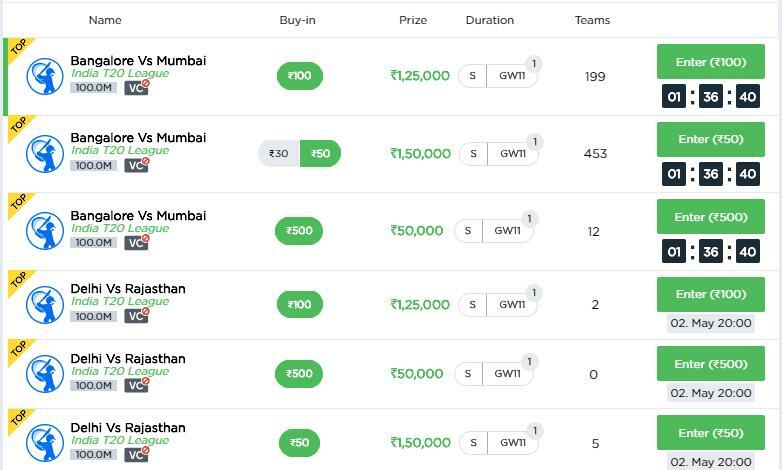 However, currently the platform offers the fantasy leagues Cricket and English Premier League only and will slowly be diversing into other games. StarPick provides for opportunity to sports lovers to earn some good money by using their knowledge of the game. It is not an equivalent of gambling and even the court ruled that fantasy sports are skill-based games and thus does not rely completely on luck for the winnings. # How to play in Fantasy League? Register on website: To play in the Fantasy League, users need to first register on the website using either Facebook or Google credentials or by entering the details manually. Choose the game: After registering, user can choose the game on which they want to play a league like EPL or IPL. Select the tournament: Users will now need to click on the Tournament tab and the list will show all the tournament being running, closed or upcoming. Users can also filter tournaments that are being run by StarPick and those by Users. Users can also choose to play a head to head with their friends, which would a one on one competition. Select a team: After entering the tournament, you can select the team for the game after obliging to the rules for selecting the team. Users are given a purse of 100 million currency from which they must buy the players for their team from the available pool. Various rules are there to select players, for e.g. in cricket user must select at least one wicket-keeper, 3 batsmen & bowlers and 1 all-rounder. There is a maximum limit as well, you can select up to 3 all-rounders, 5 batsmen & bowlers and 1 wicket keeper. To make the experience more convenient, it provides the option to filter the players according to their prices, team and status i.e. injured, available uncertain. Select the captain/vice-captain: after picking up the team, you must appoint a player as the captain of your team. Generally, users will get double the points for captain. Enter Tournament: After the team is set, users can enter the tournament now and wait for the real-world match to end. Results and prize money: After the result of real match, points will be allocated, and the user’s team will be ranked according to the points earned. The winnings will be displayed with it and the users can redeem the winnings thereafter. Note: Users can participate in more than one tournament for the same match, but the team will remain the same. Therefore, increase the chances of winnings and the total winnings as well. Also, for the paid tournaments, the entry fee will be deducted for the user’s account. Therefore, they need to deposit money using various payment gateways available on the website. Draft’n’go These are the head to head tournaments where users can challenge their friends on the platform and play with them. The point system is defined for Cricket is defined on the website under the “Scoring System” tab in the Dashboard screen. Positive points are awarded for fours, sixes, wickets, runs, run-out, century, half-century, maiden over, catches, stumping. Negative points: Points are deducted for dismissal on duck and economy rates greater than or equal to 9 along with strike rate less than 100. The points are then classified for T20, One-Day and Test cricket differently. After results are announced, users can reconfirm the points scored by them through different players. The point system is also defined for various sports on the same lines. For e.g. in football points are awarded for goals, passes, assists, free-kicks etc. # How to check entry fees and winnings? Before joining any tournament, users can check the entry fees and winnings for the teams on the website. Users can check the entry fees written under the Buy-in column in each tournament listed. Entry fee is also written near the ‘Enter’ tab as well. Total amount of money that will be given as prize is shown under the ‘Prize’ tab in the tournament list. Users can check the actual prizes that will be paid to each ranking is shown under the ‘Tournament Info’ tab on the right-hand side of the screen (this appears after user click on a tournament in the list). The winnings are divided in the top-ranking teams based on the percentage winnings and this will give complete information to users. Users need to deposit money to their account first to participate in to the tournaments which require an entry fee. This cash deposit then can be utilized to enter more than one tournaments. StarPick is empowered by 3 different Payment Gateways that allows the users to add money to their account. Following are the gateways that provides secure and encrypted way to transact with the websites. 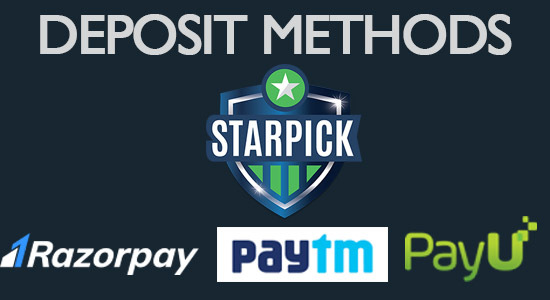 Note: Once the cash is deposited in the StarPick account, users cannot transfer back the money to their bank. Also, the cash coupons should be used before the expiry date as they are non-transferrable as well. # How to Withdraw Money? After users have accumulated sufficient amount of winnings into their account, they can pass on the cash to their bank accounts. The money can only be transferred to the bank accounts and no other medium is accepted. Also, before the winnings could be transferred to the bank account, users need to verify their account by providing PAN card details and valid Photo ID. Limits to withdrawal: Minimum amount of Rs. 500 can be withdrawn in once go and the maximum limit for the same is Rs. 50,000. Processing Fee: The website charges a processing fee of 5.31% per transaction. Processing time: It may take a period of 2-10 working days for the amount to be transferred to the user’s bank account. The customer support by the site is provided through email only. User can get in touch with the customer support team by emailing them at [email protected]. The team works from Monday to Sunday every week and from 12 noon to 01:00 am. 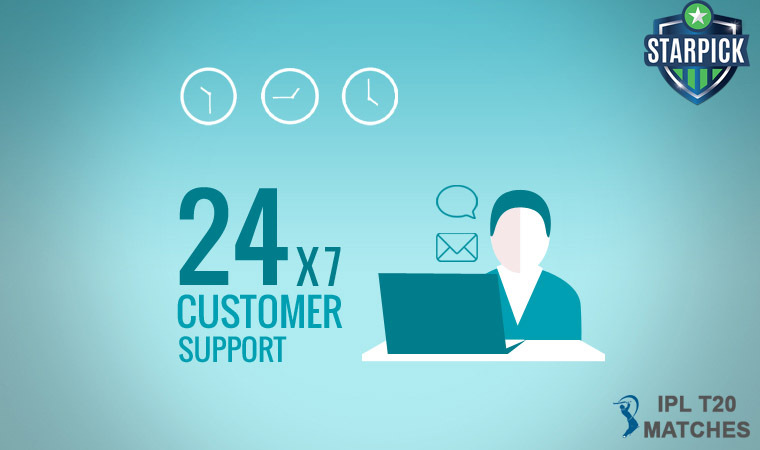 The support provided for by the team may take up to 24 hours to reach the customers as the company is still new and still in the growing phase. However, soon the company will start customer support over telephone and that will make it easier for users to get their queries resolved. Along with this email support, the site also provides a live chat support on its website and small queries that does not require much time can be resolved then and there only. The response time to the live chat is within seconds and the resolutions of problems is also real-time. # How Secure is Starpick Platform? As stated by its promoters and experts, the company bolters the Swedish technology and IT infrastructure. The COO of the company, Trigam Mukherjee stated that the users need not to be worried about their security as they have some of the best payment gateways that uses 128-bit SSL encryption for the financial transaction on the website. The gameplay and technology for the company is delivered by Scout Gaming Group. The company is operating outside India as well and does transfer the personal information of the users outside India. Thus, it is needed for the users to read the Terms and Conditions before registering on the website and using their account. StarPick does not provide services for users under the age of 18 and thus requests minors not to use the website. If an underage user is found during verification, he/she will be barred from using the website and the account will be suspended immediately. Also, it does not provide any services to the residents of Assam, Odisha and Telangana along with the other that are prohibited by law. StarPick was founded in February 2018 by Ulf Ekberg and Trigam Mukherjee. The company is in Bengaluru and operates from there only. Also, the company has advisors in the likes of South African Jhonty Rhodes and former Indian batsman VVS Laxman. Along with these stars the company has roped in several new generation players as brand ambassadors including Rohit Sharma, Dinesh Karthik, Harbhajan Singh and Gautam Gambhir. The company was launched before the 11th edition IPL in a grand event at Bengaluru. This shows that the company is eyeing big on the Indian markets. As told by its founders, company has been monitoring the Indian space since 2014 and after winning the court battle in Punjab and Haryana High Court to clear the Fantasy Sports from the online gambling charges. Since the court defined Fantasy Sports as the games that requires some skills and removed it from the purview of gambling. This meant that StarPick entered into the still ripe market of Fantasy Sports in the country. The owners of the company are confident that the users base will keep on growing which has already reached the 20 million level. Currently the company provides tournaments in IPL and EPL to its users but have plans to add more games from the European and American sports industry to their list of offerings. The team is planning to launch tournament in the sports like Football, Basketball, Cycling, NBA, Formula 1 and Kabaddi too. These local game offerings for Indian users would mean that a greater interest for Indian sports enthusiast. The company is owned by UK based Star-Pick Limited and boasts the Swedish technology and infrastructure to back the venture. The company has been researching the popularity and execution of fantasy sports in the European and American markets and after getting the go ahead by the Indian courts they went ahead with the launch. The company has a belief that the fantasy sports platform will flourish as a business and help the sports evolve over the time. The company is providing prizes of worth Rs. 10 crores during the IPL 2018. The company has also been giving cash bonuses for the first-time players and has partnered with Paytm as well to provide cashbacks to users for adding money from their Paytm account. More tournaments for users to play in. Tournaments from StarPick provides guarantee that it won’t be scrapped.